Solitary confinement is the practice of socially and physically isolating a person in conditions of confinement for 22-24 hours per day. Although there is no official punishment or unit called ‘solitary confinement’ in New Zealand prisons, its use is widespread in the practices of isolation, segregation and separation. This report interrogates what is a commonplace practice in the prison system. It examines the conditions of solitary confinement in New Zealand prisons, as well as the number of people exposed to it. It then outlines the numerous and severe harms caused by solitary confinement, as well as the failure of the use of such practices to achieve the intended purposes of prison order, prisoner safety and suicide prevention. Recognising the effects of solitary on those who most experience it, it is argued that, according to international human rights standards, solitary confinement is inherently dehumanising and sometimes amounts to cruel, inhuman and degrading treatment, as well as torture. From these findings, the report recommends the abolition of solitary confinement in New Zealand prisons. 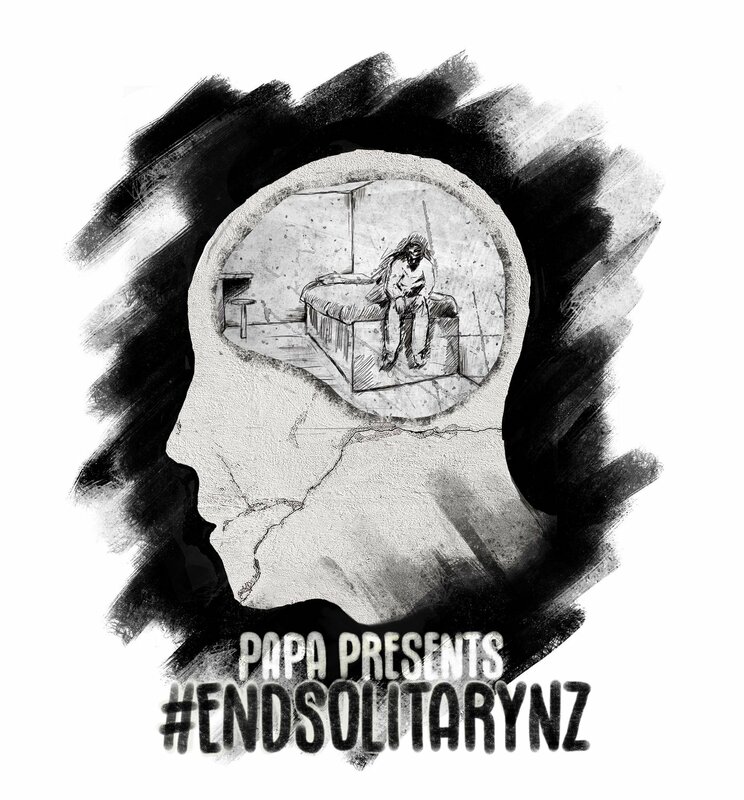 This report outlines why the use of solitary confinement in New Zealand prisons needs to end. First, it outlines the practice of solitary confinement and its distinct types. Second, it details the physiological, social and psychological effects of solitary on the people exposed to it. Third, it demonstrates that solitary confinement fails to achieve its purported goals and fourth, can amount to inhumane or degrading treatment and sometimes torture. Finally, it makes four policy recommendations stemming from the analysis. According to Sharon Shalev, who recently produced a comprehensive study of solitary confinement in New Zealand for the NZ Human Rights Commission,14 solitary confinement has three main components: social isolation, reduced stimulation and lack of control over one’s environment.15 First, ‘Solitary confinement removes the individual from the company of others and deprives him or her of most forms of meaningful and sympathetic social interaction, as well as any physical contact’.16 Of course, it is impossible to isolate a person from all other humans completely. They still need to be fed, use the bathroom, and be let of out of their cell from time-to-time. However, in solitary conditions, ‘only rarely will this contact be socially and psychologically meaningful’.17 To have meaningful contact, people need the ability to socialise with peers or receive therapeutic intervention. Shalev states that, in solitary units in New Zealand generally, a ‘typical daily “regime” included only access to a shower, telephone call and solitary exercise in a small, barren yard or cage’.25 New Zealand uses solitary confinement largely for the same purposes as prison systems abroad. These purposes include discipline, prison administration and cell management, to protect a person from other prisoners and to prevent self-harm.26 Prisoners in solitary confinement are usually placed in a ‘management’ unit, a ‘separates’ area or unit, or in the At-Risk Unit (ARU). There is, however, a lack of consistency across the prison estate in the names used for solitary confinement units. The previously mentioned names are used here for the sake of consistency, as they are used by the Office of the Ombudsman and Shalev. There are five main ways through which a person can be placed in solitary confinement in New Zealand prisons. These are directed segregation, directed protective segregation, cell confinement, at-risk status and de facto solitary confinement. Each of these types of solitary confinement is examined below. As the then National Commissioner Jeremy Lightfoot states in response to an Official Information Act request, ‘Directed segregation is not a means of discipline’.31 In this way, it is comparable to what is called ‘administrative segregation’ in the United States and Canada, where a prisoner is isolated from other prisoners without having necessarily gone through a disciplinary process or having been sentenced to solitary confinement. Even when prisoners are allowed out of their cells to exercise, their ability to do so is limited to ‘yards’. In ‘most of the prisons visited, the outside yards had roofs, which prevented exposure to sunlight. In numerous instances, the so-called “outdoor exercise” yards were not really “outdoor” at all. At Mount Eden prison, the SPT [UN Subcommittee for the Prevention of Torture] observed that prisoners were very pale and were reportedly given vitamin D pills due to the lack of exposure to daylight’.38 In other words, even where prisoners on directed segregation are granted the ability to leave their cells and ‘exercise’, this is still in a caged and degrading environment. The second form of solitary confinement is a subcategory of directed segregation called directed protective segregation. However, before examining directed protective segregation, it is important to distinguish it from voluntary protective segregation. If a prisoner’s safety is at risk from another prisoner or prisoners, they can request to be placed in voluntary segregation. Approximately 25% of prisoners are in voluntary segregation.39 In theory, prisoners on voluntary segregation can freely associate with other prisoners in their unit and engage in purposeful activities.40 For that reason, voluntary segregation usually does not amount to solitary confinement. Data released under the Official Information Act show a rapid increase in the use of directed segregation over the past nine years.50 Between December 2009 and March 2017, the snapshot number of people held in directed segregation at any given time has increased by 151.79%, from 56 to 141 people. The total number of people placed in directed segregation has increased from 676 in 2010 to 1,718 in 2016, an increase of 154.14%. The number of people in directed segregation has nearly trebled since 2010. The same conditions have been found in other prisons. In particular, separates cells do not usually contain power outlets, meaning that prisoners in those cells cannot use electricity for things such as watching television to pass the time.59 The Office of the Ombudsman reported, ‘Waikeria Separates Cells, which can only be described as deplorable, have no windows and therefore prisoners have no access to natural light or fresh air for 23 hours a day’.60 Other cells do not have running water, meaning prisoners have to request water from guards. The use of cell confinement, the condition for being placed in a separates unit, has also increased rapidly in the last nine years.64 The number of people on cell confinement at any given time has increased by 210% between December 2009 and March 2017, from 30 to 93. The total number of times a sentence of cell confinement was implemented rose from 4,879 in fiscal year 2009/2010 to 6,609 in 2015/2016.65 This is an increase of 35.46%, while the average prison population rose by 9.25% in the same period.66 The annual use of solitary in separates cell-solitary confinement is growing at a rate 3.83 times greater than the overall prison population. The number of people subjected to this treatment has not increased at the same rate as cell confinement and directed segregation.103 Between December 2009 and March 2017, the number of people in ARUs at any given time has increased from 88 to 105, but has generally fluctuated between 80 and 120 people. The total number of people placed in an ARU cell per year fell between 2010 and 2014 from 3,276 people to 2,509 people, a 23.4% decrease. The number of people placed in an ARU cell in 2016 was 3,217, 59 fewer than in 2010 or a decrease of 1.8%. A considerable number of people in ARUs experience prolonged solitary confinement (exceeding 15 days). Between June 2013 and June 2017, ‘of all prisoner stays in at-risk units, 13924 (75%) were for 7 days or less, 2964 (16%) were for 8-20 days, and 1650 (9%) were longer than 20 days’.104 Unfortunately, these data are not broken down to show the number of people in ARUs for more than 15 days. Nonetheless, this shows there are on average at least 330 people per year who experience prolonged solitary confinement in ARUs. As I outline later, prolonged solitary confinement may amount to cruel, inhumane and degrading treatment, or torture. Table 1 contains some startling results. 4-13% of prisoners, according to the surveys, did not receive their basic minimum entitlement to one hour of fresh air daily.110 Similarly, 4-16% of prisoners surveyed were spending 22-24 hours per day in their cell. Noting the aforementioned definition of solitary confinement, where a person is isolated in place of confinement for 22-24 hours per day, it is striking that up to 16% of prisoners in some prisons may be in solitary confinement. Some people experiencing these hours of unlock will be in officially sanctioned segregation cells in the ARUs, separates units or in management units (subsequently referred to as ‘sanctioned solitary confinement’). However, from my analysis of data received from Corrections, people in those units make up only around 3% of the total prison population.111 In other words, in some prisons, there may be more people in solitary confinement conditions in a regular unit than in all three sanctioned solitary confinement units combined. Similarly, the Chief Ombudsman has found a link between double-bunking and prison violence at Spring Hill, stating that the ‘increase of double-bunking at the Prison has led to an increase in assaults and incidents’.123 For inmates double-bunked for 22-24 hours a day, the ‘pressurized contact can become the occasion for explosive violence’.124 In other words, while some of the 4-16% of prisoners in Table 1 who spend 22-24 hours per in their cell are double-bunked, those conditions are still potentially damaging. Corrections will not provide reliable data based on the hours of unlock of prisoners, therefore, it is not possible to determine the exact number of people in solitary confinement in New Zealand prisons. From data provided under the Official Information Act, in March 2017 there were 339 people in sanctioned solitary confinement, meaning they are in either directed segregation, a separates unit or an ARU. That is 3.38% of the total prison population at the time. This is a conservative estimate of the number of people in solitary confinement. Of the prisons surveyed, at least 4% of prisoners and up to 16% of Hawke’s Bay prisoners could be in de facto solitary confinement. Therefore, it is likely an underestimate to state that 3.38% of prisoners in New Zealand are in solitary confinement. From the Official Information data, between December 2009 and March 2017, the number of people in sanctioned solitary confinement at any given time has increased from 2.11% of the total prison population to 3.38%. In her investigation into solitary confinement in New Zealand prison, Shalev examined the number of instances of segregation in the year to November 30, 2016.125 She found 16,370 recorded instances where a person was placed in sanctioned solitary confinement and ‘Of the 16,370 stays in segregation, 1,314, or 8 per cent lasted for 15 days or longer’.126. This is a rate of segregation of 167.1 per 100 prisoners, which is four times greater than the rate in England and Wales. Shalev’s analysis also shows that the use of sanctioned solitary confinement disproportionately affects Māori and Pacific peoples. According to Shalev, Māori and Pacific peoples make up 62% of all those placed in sanctioned solitary confinement and 80% of people on directed segregation.127 Māori and Pacific peoples make up just 23% of the general population of New Zealand. The use of solitary confinement is thus at a disproportionate rate against Māori and Pacific peoples, demonstrating that it is an institutionally racist form of punishment. Solitary confinement can cause severe pain and suffering to people with pre-existing mental illnesses. Being confined in a small space for 22-24 hours per day can also exacerbate claustrophobia,179 with one study finding prisoners experiencing ‘feelings of spatial compression akin to claustrophobic panic’.180 Finally, solitary confinement can also induce paranoia and psychosis.181 This can range from ideas of persecution, ‘Recurrent and persistent thoughts (ruminations) often of a violent and vengeful character (e.g. directed against prison staff)’, to ‘Psychotic episodes or states: psychotic depression, schizophrenia’.182 Therefore, solitary confinement can cause severe psychological pain and harm. My research into deaths in custody in New Zealand prisons concurs with findings from abroad.198 The research involved analysing every coroner’s finding into a death in New Zealand prisons that had been published between July 2007 and February 22, 2017. Of the 108 findings analysed, 37 included a self-inflicted death. Of those 37, five (13.51%) were in a sanctioned solitary confinement unit, nine (24.32%) were in a non-solitary unit, and the type of unit was unclear or unknown in 23 (62.16%) findings. In that period, people in sanctioned solitary made up only 2-3% of the total prison population, while people in solitary made up at least 13.51% of people who took their own lives. Therefore, people in solitary confinement in New Zealand prisons are disproportionately likely to take their own lives compared to mainstream prisoners. It is important to note that this likely underestimates the proportion of self-inflicted deaths in solitary confinement. This is due to a lack of detail from coroners and the possibility of some of the self-inflicted deaths occurring in de facto solitary confinement. Further, the Department of Corrections’ primary method of addressing suicide in prisons is to place people in At-Risk Units, a form of solitary confinement. Boshier stated, ‘Prisoners placed in ARUs are fundamentally isolated or secluded – they do not meaningfully interact with other prisoners and staff interaction is limited, yet a great deal of research states that isolation increases suicidal ideation’.199 Although the Department of Corrections has referred to ARU cells as ‘suicide proof’200, people have in fact taken their own lives in ARUs.201 Further, of the 37 self-inflicted deaths, the coroner mentions the deceased having spent time in an ARU in 16 instances (43.24%). Four people (10.81%) took their lives within one day of being released from an ARU and eight people (21.62%) within the first week. There is not enough data here to suggest that a stay in an ARU caused self-inflicted death. However, international literature suggests that, shortly following release from solitary confinement conditions that make suicide difficult, prisons often act on unaddressed or exacerbated thoughts of self-harm. Craig Haney finds that, ‘while locked in a room and while being closely observed, they do not try to harm themselves, but they think about it. Then, when they are released to the open ward or to their homes, they carry out the plans they had been quietly hatching while they were restrained from actually harming themselves’.202 In other words, where a suicidal person is isolated but has no means to take their own lives, the isolation can nonetheless exacerbate their suicidality. However, the resulting self-harm may only occur following release from extreme isolation. This may be the case with self-harm and suicide following periods of isolation in an ARU, as illustrated above. Prisoners in New Zealand can spend substantial periods of time in solitary confinement. As noted above, Shalev found that in the year to November 30, 2016, 1,314 stays (8%) in sanctioned solitary confinement were prolonged, lasting more than 15 days. Similarly, between June 2013 and June 2017, 1,650 stays (9%) in the ARUs lasted longer than 20 days, meaning on average at least 330 people per annum experienced prolonged solitary confinement in ARUs. Therefore, solitary confinement can cause severe pain and suffering. This pain can be physiological, social and psychological. Although almost anyone can experience the pain of solitary confinement, its psychological effects are especially detrimental to people with pre-existing mental illness. The harm and maladaptation caused by solitary confinement does not always subside with release, and can cause life-long disability. Despite the harmful effects of solitary confinement, the Department of Corrections continues to use it. The reasons Corrections offer to justify their use of solitary include the need to protect vulnerable prisoners from others, to prevent self-harm and suicide and to ensure prison discipline and order. However, the effects of solitary confinement undermine the reasons for its use. Four of these effects are outlined in this section of the report. First, New Zealand prisoners are sometimes placed in solitary confinement for their protection. However, regardless of the reason for solitary confinement, it can have negative consequences.228 Even those who request to be placed in solitary, as in some cases of protective segregation, can also experience the negative effects. Stanley Brodsky and Forrest Scogin’s study of prisoners in protective segregation found that, where prisoners in protective segregation experience conditions of solitary confinement, 84% experienced anxiety and nervousness, 77% depression, 71% irrational anger, 65% had confused thought processes and 42% experienced hallucinations.229 Although solitary confinement as protective segregation is allegedly not for punishment reasons, it can nonetheless cause severe pain. In effect, prisoners who are most vulnerable in prison, and who are most likely to be placed in protective solitary confinement, are punished because of their vulnerabilities. Second, placing people at risk of suicide in solitary confinement is a poor policy decision. Ensuring meaningful social interaction is a crucial element of suicide prevention, while social and physical isolation can seriously exacerbate the risk.232 Kaufman describes isolation cells to house suicidal prisoners as ‘inhumanities in the name of psychiatry’.233 In recognition of its harmful effects to suicidal people, within the mental health system in New Zealand ‘seclusion is not used for managing depression or self-harm and is only used in the context of aggression or violence’.234 There is evidence of a ‘revolving-dooring’ between ARU and mainstream units where prisoners are placed in isolation in an ARU, do not receive therapeutic intervention, and then, once they have returned to the mainstream units, express or act on thoughts of self-harm.235 For people in prison who are at risk of self-harm and suicide, placement in solitary confinement in an ARU is dangerous and cruel. Further, the production of higher rates of violence by solitary confinement is even more apparent when ‘violence against the self’243 and ‘prisoners assaulted or killed by guards’244 are factored in. Therefore, the use of solitary confinement for prisoner discipline is ineffective at best and counterproductive at worst. Fourth and finally, solitary confinement can also exacerbate the rate of recidivism, particularly violent recidivism.245 Daniel Mears and William Bales found that any period in solitary confinement may increase the rate of violent recidivism.246 In their study, prisoners who had been isolated had a rate of violent recidivism 18% higher than prisoners who had not been. Similarly, a Canadian study found segregated prisoners were 55.87% more likely than non-segregated to be reimprisoned within three years.247 Therefore, solitary confinement can make people more likely to engage in criminalised activities, particularly violent crimes. Not only can solitary confinement severely harm the people exposed to it, it also fails to achieve its stated purposes. Protective segregation unnecessarily punishes the most vulnerable prisoners, and ARUs are an extremely damaging response to suicidal behaviour. Solitary also fails as a mechanism for controlling prison violence, potentially increasing incidents of violence by people in prison and once they are released. In recognition of the effects of solitary as outlined in this report, there is increasing acceptance that solitary confinement often amounts to cruel, inhuman and degrading treatment, which is prohibited under the UN Convention Against Torture and incorporated into New Zealand law.253 The UN Special Rapporteur on Torture found that the solitary confinement of juveniles and people with disabilities254 ‘of any duration’ is cruel, inhuman or degrading treatment.255 Because of the ‘adverse acute and latent psychological and physiological effects of prolonged solitary confinement’ that ‘constitute severe mental pain or suffering’, ‘solitary confinement beyond 15 days constitutes torture or cruel, inhuman or degrading treatment or punishment, depending on the circumstances’.256 As noted earlier, there is widespread solitary confinement of people with mental illnesses in New Zealand prisons, particularly in ARUs. Shalev’s study also found in a single year that 1,314 instances of solitary confinement were prolonged.257 Therefore, according to the standards outlined by the Special Rapporteur, there is extensive use of cruel, inhuman or degrading treatment in New Zealand prisons. While solitary confinement in some instances has been found to be torture,261 within New Zealand law, the definition of torture is limited. In the Crimes of Torture Act 1989, the definition of torture has three elements. First, it is an ‘act or omission by which severe pain or suffering, whether physical or mental’ is caused.262 Second, it is ‘intentionally inflicted on a person’,263 and third it is for a purpose or due to discrimination.264 The argument here is complex but nonetheless important. The question of severity is answered easily. International studies have demonstrated solitary confinement, particularly for people with pre-existing mental illnesses and where it is prolonged, can cause severe psychological pain and suffering. As a prisoner told Ombudsman’s inspectors, ‘Feeling so isolated was terrifying’.265 Not all instances of solitary confinement in New Zealand prisons cause severe pain and suffering, but some certainly do. The more difficult question, then, is whether this pain and suffering was inflicted on a person intentionally. Department of Corrections could perhaps argue that a Corrections Officer, Prison Manager, or Chief Executive only places a person in solitary confinement for the purposes of protective segregation, prison order, discipline or because they are at risk of self-harm. In theory, they do not place people in solitary to cause them severe pain and suffering. However, the officials’ actions can be considered intentional for the purposes of the definition. Tracey Hresko argues that prison officials must have knowledge of the severe psychological effects of solitary confinement given its clear effects on some prisoners.266 This knowledge of the pain solitary can cause, can fulfil the intent element of the definition.267 Where one knows that the likely outcome of one’s action or omission will cause another person severe pain and suffering, the decision to act, or omit from action, is made with consent to its outcomes. Therefore, a decision made to place or continue to house a person in solitary confinement, with knowledge of its likely effects, is a decision that intentionally puts that person at risk of severe pain and suffering. Finally, for an act to be defined as torture must occur for a specific purpose or due to discrimination. With cases of non-protective directed segregation and cell confinement, this report has shown a punitive element to that decision.268 Prisoners are segregated under those conditions as punishment for their alleged actions. For prisoners in ARUs, solitary confinement is also, arguably, a form of punishment for expressing or acting on thoughts of self-harm. As noted above, former prisoners who spoke to the National Health Committee viewed the ARU as a form of punishment, effectively disciplining them whenever they showed emotion. Further, solitary is used disproportionately against some social groups.269 It can thus amount to the discriminatory treatment of: mentally unwell prisoners, who are more likely to be placed in solitary confinement for both self-protective and punishment purposes;270 people who are most vulnerable in prisons,271 including transgender women;272 and Māori and Pacific peoples.273 Although there are likely instances of interpersonal discrimination leading to solitary confinement, the disproportionate confinement of these groups suggests an institutional discrimination that exceeds the prison system. Although Corrections may claim that there is no alternative to solitary confinement and, therefore, it must be used regardless of the pain it can induce, the counter-productive effects of solitary confinement outlined above demonstrate that there is no legitimate use for it. Because solitary confinement does not keep people safe from others or themselves, can exacerbate suicidality, and undermine prison discipline, it fails the achieve the stated purposes of its use. The extreme pain and suffering that people in solitary confinement can experience is unjustifiable even according to its own standards. However, even if solitary did achieve its purposes, because the use of solitary confinement in New Zealand is an intentional act that can cause severe pain and suffering for the purposes of punishment or as a result of discrimination, it can still amount to torture regardless of the reason for its use. Further, ‘the use of solitary confinement increases the risk that acts of torture and other cruel, inhuman or degrading treatment or punishment will go undetected and unchallenged’.274 By hiding people away in conditions that can amount to torture, it becomes easier for even more degrading and dehumanising practices to occur. Thus, in some cases, solitary confinement in New Zealand prisons can be torture and cannot be excused. Given that solitary confinement is potentially damaging to everyone who is exposed to it, solitary confinement must be abolished in all instances. There is a somewhat unintentional consensus in the literature on this recommendation. While many scholars and human rights observers do not explicitly call for the abolition of solitary confinement, their recommendations as to the treatment of people in segregation call for abolition in all but name. For example, those that recommend that all prisoners in segregation be granted the ability to have meaningful social interaction with others, more time out of their cells, and more purposeful activity,279 are calling for the end to conditions of solitary confinement. Therefore, there is a substantial body of literature that not only calls for the abolition of solitary confinement for certain groups or in certain conditions but also, indirectly, for the abolition of solitary confinement entirely. This report joins a large body of research that calls for the end of solitary confinement. Sections 57-61 of the Corrections Act 2004 allow for the denial of prisoners’ ability to associate with others. Sections 133(3)(c) and 137(3)(c) allow for a sentence of cell confinement to be imposed on prisoners. These sections of the Corrections Act form sanctioned solitary confinement. Sections 57-61, 133(3)(c), and 137(3)(c) of the Corrections Act must be repealed. In order to remove any uncertainty as to the effects of the first recommendation, the use of solitary confinement in New Zealand prison must be explicitly prohibited. The Corrections Act must be amended to include a prohibition of solitary confinement, defining solitary confinement to mean the social and physical isolation of a person for 22-24 hours per day. Due to the high rates of de facto solitary confinement in New Zealand prisons (up to 16% in Hawke’s Bay), incarcerated people must also be provided with the positive rights to prevent de facto solitary confinement. While recognising that one to two hours per day is an insufficient amount of social contact, it is difficult to establish an exact minimum number of hours out of cells required for healthier conditions.280 With that in mind, I propose a minimum of four hours out of cell per be granted to prisoners as a right. The Corrections Act must be amended to enshrine the rights of all prisoners to a minimum of four hours out of cell per day. While Te Pou’s recommendations and a CAPS-like programme could help to reduce the number of people in solitary confinement in New Zealand prisons and lead to better mental health outcomes, prisons are ‘are inherently stressful and non-therapeutic environments’.286 Treatment of mental illness and problematic behaviour also tends to be much more successful in a non-carceral setting.287 In this way, the authors of the CAPS study suggested that rather than establish CAPS programmes elsewhere, ‘it may be preferable to reduce the rates of incarceration for mentally ill persons altogether’.288 If, as the Office of the Ombudsman suggests, the ‘prison environment itself poses a threat to mental wellbeing’,289 then the best alternative to solitary confinement and its ill-effects is not to imprison people in the first place. Therefore, therapeutic alternatives to solitary confinement must be established, including alternatives to imprisonment. This report has demonstrated the undeniable necessity of the abolition of solitary confinement. Solitary confinement can cause severe pain and suffering. This pain can be physiological, social and psychological and can continue well after release. Solitary is inherently inhumane, depriving people of their basic need for social interaction. It can also, in certain circumstances, amount to torture. The conditions in the management, separates and At-Risk Units, which make up sanctioned solitary confinement, are often bleak and degrading. People in these units, as well as the countless others in de facto solitary confinement, are locked in their cells for 22-24 hours per day with minimal human contact. Being denied this basic human dignity, people coming out of solitary are more damaged and more likely to hurt others. Given the effects of solitary, as well as the fact that it can worsen prison discipline and exacerbates recidivism and suicidality, there is absolutely no justification for its use. As such, all forms of solitary confinement in New Zealand prisons must be abolished and alternatives established. 1 Henrik Steen Andersen et al. ‘A Longitudinal Study of Prisoners on Remand: Psychiatric Prevalence, Incidence and Psychopathology in Solitary vs. Non-Solitary Confinement’, Acta Psychiatrica Scandinavica vol. 102, no. 1 (2000): 19–25; Bruce A. Arrigo and Jennifer Leslie Bullock. ‘The Psychological Effects of Solitary Confinement on Prisoners in Supermax Units: Reviewing What We Know and Recommending What Should Change’, International Journal of Offender Therapy and Comparative Criminology vol. 52, no. 6 (2008): 622–640; Thomas B. Benjamin and Kenneth Lux. ‘Solitary Confinement as Psychological Punishment’, Cal. WL Rev. vol. 13 (1977): 265; Stanley Brodsky and Forrest Scogin. ‘Inmates in Protective Custody: First Data on Emotional Effects’, Forensic Reports 1 (1988): 267–280; Stuart Grassian. ‘Psychopathological Effects of Solitary Confinement’, American Journal of Psychiatry vol. 140 (1983): 1450–1454; Stuart Grassian and Nancy Friedman. ‘Effects of Sensory Deprivation in Psychiatric Seclusion and Solitary Confinement’, International Journal of Law and Psychiatry vol. 8, no. 1 (1986): 49–65; Craig Haney. ‘“Infamous Punishment”: The Psychological Consequences of Isolation’, The National Prison Project Journal vol. 8, no. 2 (1993): 3–7; Craig Haney and Mona Lynch. ‘Regulating Prisons of the Future: A Psychological Analysis of Supermax and Solitary Confinement’, NYU Rev. L. & Soc. Change 23 (1997): 477; Richard Korn. ‘The Effects of Confinement in the High Security Unit at Lexington’, Social Justice vol. 15, no. 1 (1988): 8–19; Terry A. Kupers. ‘What To Do With the Survivors? Coping With the Long-Term Effects of Isolated Confinement’, Criminal Justice and Behavior vol. 35, no. 8 (2008): 1005–1016; Holly A. Miller and Glenn R. Young. ‘Prison Segregation: Administrative Detention Remedy or Mental Health Problem?’, Criminal Behaviour and Mental Health vol. 7, no. 1 (1997): 85–94; Peter Scharff Smith. ‘The Effects of Solitary Confinement on Prison Inmates: A Brief History and Review of the Literature’, Crime and Justice vol. 34, no. 1 (2006): 441–528; G. D. Scott and Paul Gendreau. ‘Psychiatric Implications of Sensory Deprivation in a Maximum Security Prison’, Canadian Psychiatric Association Journal vol. 14, no. 1 (1969): 337–341; Dorte Sestoft et al. ‘Impact of Solitary Confinement on Hospitalization Among Danish Prisoners in Custody’, International Journal of Law and Psychiatry vol. 21, no. 1 (1998): 99–108; Peter Suedfield and Chunilal Roy. ‘Using Social Isolation to Change the Behaviour of Disruptive Inmates’, International Journal of Offender Therapy and Comparative Criminology vol. 19, no. 1 (1975): 90–99. 3 Peter Boshier, ‘OPCAT Findings Report: A Question of Restraint’, Wellington: Office of the Ombudsman, 1 March 2017. 4 Sharon Shalev, ‘Thinking Outside the Box? A Review of Seclusion and Restraint Practices in New Zealand’ Auckland: Human Rights Commission, April 2017. 5 Ti Lamusse, Sophie Morgan, and Emilie Rākete, eds., Abolitionist Demands: Toward the End of Prisons in Aotearoa Auckland: No Pride in Prisons Press, 2016; Ti Lamusse, ed., Torture in New Zealand Prisons: A Briefing Auckland: No Pride in Prisons Press, 2017. 6 Rachel Leota quoted it Māori Television, ‘Campaign Launched against Solitary Confinement’, Māori Television, 16 October 2017. Last accessed 18 January 2018. https://www.maoritelevision.com/news/national/campaign-launched-against-solitary-confinement; Cleo Fraser, ‘Solitary Confinement Slammed as “Completely Unethical”’, Newshub, 15 October 2017. Last accessed 18 January 2018. http://www.newshub.co.nz/home/new-zealand/2017/10/solitary-confinement-slammed-as-completely-unethical.html The Department of Corrections also recently released a video on Twitter with Chief Custodial Officer Neil Beales claiming that there is no solitary confinement in New Zealand prisons. See here: https://twitter.com/CorrectionsNZ/status/925579921677737984. 7 Crimes Act 1961, § 17. 8 Craig Haney et al. ‘Examining Jail Isolation: What We Don’t Know Can Be Profoundly Harmful’, The Prison Journal vol. 96, no. 1 (2016), p. 130. 9 Shalev, ‘Thinking Outside the Box?’, p. 16. 10 International Psychological Trauma Symposium, Istanbul. ‘The Istanbul Statement on the Use and Effects of Solitary Confinement’, 9 December 2007; Juan Méndez, ‘Interim Report of the Special Rapporteur of the Human Rights Council on Torture and Other Cruel, Inhuman or Degrading Treatment or Punishment’, New York: United Nations General Assembly, 5 August 2011. Last accessed 18 January 2018. http://solitaryconfinement.org/uploads/SpecRapTortureAug2011.pdf; Scharff Smith. ‘The Effects of Solitary Confinement on Prison Inmates: A Brief History and Review of the Literature’; Sharon Shalev. ‘A Sourcebook on Solitary Confinement’. London: Mannheim Centre for Criminology, 2008; Shalev, ‘Thinking Outside the Box?’; United Nations General Assembly. ‘Resolution 70/175: The United Nations Standard Minimum Rules for the Treatment of Prisoners’, 17 December 2015, rule 44. 11 Shalev. ‘Thinking Outside the Box?’, p. 16. 12 United Nations General Assembly. ‘Mandela Rules’, rule 44. 15 Shalev. ‘A Sourcebook on Solitary Confinement’, p. 17; Shalev, ‘Thinking Outside the Box?’, p. 17. 16 Shalev. ‘A Sourcebook on Solitary Confinement’, p. 18. 17 Scharff Smith. ‘The Effects of Solitary Confinement on Prison Inmates: A Brief History and Review of the Literature’, p. 448. 18 Shalev. ‘A Sourcebook on Solitary Confinement’, p. 19. 21 This dependence on the institution for decision-making occurs throughout the prison system but is intensified in solitary confinement. 22 Boshier. ‘A Question of Restraint’, p. 12. 23 Shalev. ‘Thinking Outside the Box?’; SPT. ‘SPT Report on New Zealand’. 25 Shalev. ‘Thinking Outside the Box?’, p. 32. 26 Juan Méndez et al. ‘Seeing into Solitary: A Review of the Laws and Policies of Certain Nations Regarding Solitary Confinement of Detainees’ Washington, DC: United Nations Special Rapporteur on Torture and Other Cruel, Inhuman or Degrading Treatment or Punishment, 2016; Shalev, ‘A Sourcebook on Solitary Confinement’. 27 Corrections Act 2004, § 58. 28 Corrections Act 2004, § 58(1). 29 Corrections Act 2004, § 58(3). 30 Boshier. ‘A Question of Restraint’. 32 Boshier. ‘A Question of Restraint’. 33 For example, Tipene Pomare was placed in directed segregation as ‘punishment’. He took his own life after 13 days in solitary confinement. See: Coroner Garry Evans, ‘Findings in the Matter of Tipene Dawson Pomare (Aka Dawson Te Huna)’ Wellington: Coroner’s Court, 11 December 2015. 34 Shalev. ‘Thinking Outside the Box?’, p. 33. 35 Office of the Ombudsman. ‘Monitoring Places of Detention: Annual Report of Activities under the Optional Protocol to the Convention Against Torture (OPCAT) 1 July 2012 to 30 June 2013’ Auckland: Human Rights Commission, 2013, p.14. 36 Peter Boshier. ‘OPCAT Report: Report on an Unannounced Inspection of Spring Hill Corrections Facility Under the Crimes of Torture Act 1989’ Wellington: Office of the Ombudsman, 2017, p. 12. 37 David McGee. ‘Report on an Unannounced Follow-up Inspection of Department of Corrections’ Waikeria Prison’s West North & West South Units Under the Crimes of Torture Act 1989 22 September 2011’ Wellington: Office of the Ombudsman, 2011, p. 8. 38 SPT. ‘SPT Report on New Zealand’, p. 16. 40 As I demonstrate later in this section, this is not always the case. 43 SPT. ‘SPT Report on New Zealand’. I acknowledge that this report, however, confuses voluntary and directed protective segregation. 44 Méndez et al. ‘Seeing into Solitary: A Review of the Laws and Policies of Certain Nations Regarding Solitary Confinement of Detainees’. 45 SPT. ‘SPT Report on New Zealand’. 47 Boshier. ‘Spring Hill COTA Report 2017’, p. 12. 48 Peter Boshier. ‘COTA Report: Report on an Unannounced Inspection of Corrections Service Otago Corrections Facility Under the Crimes of Torture Act 1989’ Wellington: Office of the Ombudsman, 2016, p. 8. 49 For an excellent explanation of the causes of the rapid increase in the prison population, see: Roger Brooking. ‘How to Cut the Prison Population by 50% in Five Years – Quick Fix Solutions,’ Brookingblog, December 16, 2017. Last accessed 18 January 2018. https://brookingblog.com/2017/12/16/how-to-cut-the-prison-population-by-50-in-five-years-quick-fix-solutions/. 50 Rachel Leota. ‘Directed Segregation and ARU Numbers (Official Information Act Response to Ti Lamusse)’, Fyi.org.nz, 15 September 2017. Last accessed 18 January 2018. https://fyi.org.nz/request/6291/response/21676/attach/9/Correspondence%20from%20Corrections%20C87695.pdf The following is my analysis of this data. 51 Boshier. ‘A Question of Restraint’. 52 Corrections Act 2004, § 133. 53 Corrections Act 2004, § 137. 54 Office of the Ombudsman. ‘Monitoring Places of Detention: Annual Report of Activities under the Optional Protocol to the Convention against Torture (OPCAT) 1 July 2013 to 30 June 2014’. Auckland: Human Rights Commission, 2014, pp. 21–22. 55 Office of the Ombudsman. ‘Monitoring Places of Detention 2015’. 56 Peter Boshier. ‘OPCAT Report: Report on an Unannounced Inspection of Hawke’s Bay Regional Prison Under the Crimes of Torture Act 1989’. Wellington: Office of the Ombudsman, 2017, p. 39. 57 Boshier. 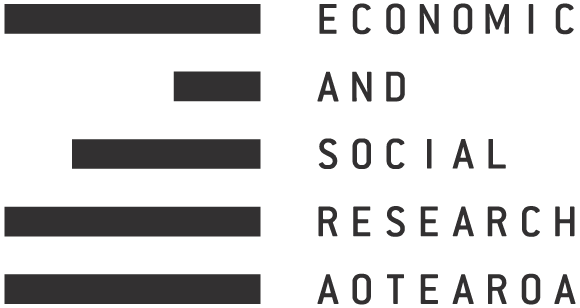 ‘Arohata COTA Report 2015’; Peter Boshier. ‘COTA Report: Report on an Unannounced Inspection of Corrections Service Manawatu Prison Under the Crimes of Torture Act 1989’. Wellington: Office of the Ombudsman, 2016; Boshier. ‘Otago COTA Report 2016’; Boshier. ‘A Question of Restraint’; Office of the Ombudsman. ‘Monitoring Places of Detention 2014’; Shalev. ‘Thinking Outside the Box?’; Beverley Wakem. ‘Report on an Unannounced Inspection of Department of Corrections’ Arohata Prison Under the Crimes of Torture Act 1989’. Wellington: Office of the Ombudsman, 2012. 58 Boshier. ‘Arohata COTA Report 2015’, p. 12. 59 Office of the Ombudsman. ‘Monitoring Places of Detention 2014’; Beverley Wakem. ‘Report on an Unannounced Inspection of Department of Corrections’ Tongariro Prison (Cedar Units One and Two) Under the Crimes of Torture Act 1989’. Wellington: Office of the Ombudsman, 2012. 60 Office of the Ombudsman. ‘Monitoring Places of Detention 2014’, p. 22. This finding was also made by an earlier Office of the Ombudsman investigation: McGee. ‘Waikeria COTA Report 2011’. These conditions vary from unit to unit and from prison to prison. 61 Boshier. ‘Spring Hill COTA Report 2017’, p. 21. 63 Wakem. ‘Arohata COTA Report 2012’. 65 Unfortunately, the Department of Correction did not give me ARU, directed segregation and cell confinement data in a comparable format. While ARU and Direct segregation is measured in calendar year, cell confinement data is measured in fiscal year. 66 Average population increase is from my analysis of Corrections’ Annual Reports: Department of Corrections, ‘Annual Report: 1 July 2009 – 30 June 2010’ (Wellington: Department of Corrections, 2010); Department of Corrections, ‘Annual Report: 1 July 2015 – 30 June 2016’. Wellington: Department of Corrections, 2016. 67 Boshier. ‘Hawke’s Bay COTA Report 2017’, p. 29. 68 Corrections Act 2004, § 60. 69 Corrections Regulations 2005, § 60-61, 63. 70 Corrections Act 2004, § 60. 71 For a discussion of medical ethics and solitary confinement see: Jeffrey Metzner and Jamie Fellner. ‘Solitary Confinement and Mental Illness in U.S. Prisons: A Challenge for Medical Ethics’, Journal of the American Academy of Psychiatry and the Law vol. 38, no. 1 (2010): 104–108; Sharon Shalev. ‘Solitary Confinement as a Prison Health Issue’, in Prisons and Health, ed. Stefan Enggist et al. Copenhagen: World Health Organisation, 2014, pp. 27–35. 72 Boshier. ‘A Question of Restraint’. 73 Peter Boshier. ‘COTA Report: Report on an Unannounced Inspection of Corrections Service Invercargill Prison Under the Crimes of Torture Act 1989’. Wellington: Office of the Ombudsman, 2016; Boshier. ‘A Question of Restraint’; National Health Committee, ‘Health in Justice: Kia Piki Te Ora, Kia Tika! – Improving the Health of Prisoners and Their Families and Whānau: He Whakapiki I Te Ora O Ngā Mauhere Me Ō Rātou Whānau’. Wellington: Ministry of Health, 2010; Shalev, ‘Thinking Outside the Box?’; Beverley Wakem and David McGee. ‘Investigation of the Department of Corrections in Relation to the Provision, Access and Availability of Prisoner Health Services’. Wellington: Office of the Ombudsman, 2012. 74 Boshier. ‘A Question of Restraint’, p. 5. 75 Shalev. ‘Thinking Outside the Box?’, pp. 24–25. 76 Wakem and McGee. ‘Investigation of the Department of Corrections in Relation to the Provision, Access and Availability of Prisoner Health Services’, p. 99. 77 Shalev. ‘Thinking Outside the Box?’, p. 31; Wakem and McGee. ‘Investigation of the Department of Corrections in Relation to the Provision, Access and Availability of Prisoner Health Services’, p. 99. 78 Wakem and McGee. ‘Investigation of the Department of Corrections in Relation to the Provision, Access and Availability of Prisoner Health Services’, p. 99. 79 Shalev. ‘Thinking Outside the Box?’, p. 31. 80 See my discussion of ‘round rooms’ in Ti Lamusse, Grieving Prison Death. Master’s Thesis, University of Auckland, 2017. 81 National Health Committee. ‘Health in Justice’, p. 35. 82 Boshier. ‘A Question of Restraint’, p. 14. 83 Boshier. ‘Invercargill COTA Report 2016’, p. 18. 84 Boshier. ‘A Question of Restraint’, p. 13. 85 The only exception I have been able to find to prisoners being held in their cells for 23 hours per day was at Otago Corrections Facility, where prisoners were locked up for 21-22 hours per day: Boshier. ‘Otago COTA Report 2016’, p. 17. 86 Boshier. ‘Hawke’s Bay COTA Report 2017’. 88 Boshier. ‘A Question of Restraint’, 13. This varies from prison to prison. 90 Boshier. ‘A Question of Restraint’, p. 44. 91 Office of the Ombudsman. ‘Monitoring Places of Detention 2014’; Boshier, ‘Otago COTA Report 2016’; Boshier. ‘A Question of Restraint’; Boshier, ‘Hawke’s Bay COTA Report 2017’. 92 Boshier. ‘A Question of Restraint’, p. 13. 95 Boshier. ‘Invercargill COTA Report 2016’, p. 19. 96 Boshier. ‘Invercargill COTA Report 2016’; Boshier. ‘A Question of Restraint’; National Health Committee, ‘Health in Justice’; SPT. ‘SPT Report on New Zealand’; Wakem and McGee. ‘Investigation of the Department of Corrections in Relation to the Provision, Access and Availability of Prisoner Health Services’. 97 Boshier. ‘A Question of Restraint’, p. 18. 98 Boshier. ‘Manawatu COTA Report 2016’; Boshier, ‘Otago COTA Report 2016’; Boshier. ‘A Question of Restraint’; Boshier, ‘Hawke’s Bay COTA Report 2017’. 99 Exactly the same phrase is used in: Boshier. ‘Manawatu COTA Report 2016’, p. 17; Boshier. ‘Otago COTA Report 2016’, p. 18. 100 Quoting ‘Siaki’ in National Health Committee. ‘Health in Justice’, p. 35, ellipses original. 101 Boshier. ‘A Question of Restraint’; National Health Committee. ‘Health in Justice’. 102 Boshier. ‘Hawke’s Bay COTA Report 2017’, p. 27. This comment contradicts the reality that many prisoners have limited to no say on whether they are transferred out of the ARU. 103 Based on my analysis of data provided to me under the Official Information Act: Leota, ‘Directed Segregation and ARU Numbers’. 104 This data was given to me by Will Cosgriff, after I read it in his Bachelor of Law (Honours) thesis: Julie Miller, ‘At-Risk Unit Stays (Official Information Act Request)’, 14 September 2017, 2, Letter to Will Cosgriff; Will Cosgriff, Thinking Outside the Box: The Treatment of Sentenced Offenders at-Risk of Self Harm. Bachelor of Laws (Honours) Dissertation, University of Otago, 2017. 105 Boshier. ‘Arohata COTA Report 2015’; Boshier, ‘Invercargill COTA Report 2016’; Boshier. ‘Manawatu COTA Report 2016’; Boshier. ‘Otago COTA Report 2016’; Peter Boshier. ‘COTA Report: Report on an Unannounced Inspection of Corrections Service Rolleston Prison Under the Crimes of Torture Act 1989’. Wellington: Office of the Ombudsman, 2016; Boshier. ‘Hawke’s Bay COTA Report 2017’; Boshier. ‘Spring Hill COTA Report 2017’. 108 There are eight other reports that are now publicly available, but they do not contain questionnaire results for the questions in Table 1. 109 The way the questionnaire was phrased means there at Arohata and Manawatu means there is no comparable data. 110 This entitlement is enshrined in the Correction Act 2004, § 70. 111 Leota. ‘Directed Segregation and ARU Numbers’; Leota, ‘Number of People in Separates Cells (Official Information Act Response to Ti Lamusse)’. I provide further analysis of these data below. 112 Boshier. ‘Invercargill COTA Report 2016’, p. 7; Boshier. ‘Otago COTA Report 2016’, p. 8. 113 SPT. ‘SPT Report on New Zealand’, p. 9. 114 NZ Herald, ‘Corrections Denies Group’s Claim Spring Hill Prisoners Kept in 22-Hour Lockdown’, NZ Herald, 14 March 2017. Last accessed 18 January 2018. http://www.nzherald.co.nz/nz/news/article.cfm?c_id=1&objectid=11818650. 115 Neil Beales quoted in ibid. 116 Boshier. ‘Spring Hill COTA Report 2017’. 117 Boshier. ‘Otago COTA Report 2016’, p. 8. 118 SPT. ‘SPT Report on New Zealand’, p. 7. 120 Boshier. ‘Arohata COTA Report 2015’; Boshier. ‘Spring Hill COTA Report 2017’; Boshier. ‘Hawke’s Bay COTA Report 2017’. 121 Stuart Grassian. ‘Psychiatric Effects of Solitary Confinement’, Washington University Journal of Law & Policy 22 (2006), p. 357. 122 ‘Scott’ quoted in National Health Committee. ‘Health in Justice’, p. 29. Ellipses original. 123 Boshier. ‘Spring Hill COTA Report 2017’, p. 29. 124 Haney. ‘“Infamous Punishment”: The Psychological Consequences of Isolation’, p. 4. 129 See: Jason Lydon et al. ‘Coming out of Concrete Closets: A Report on Black & Pink’s National LGBTQ Prisoner Survey’. Black & Pink, 201). 130 Méndez. ‘Interim Report of the Special Rapporteur of the Human Rights Council on Torture and Other Cruel, Inhuman or Degrading Treatment or Punishment’, p. 13. Studies into the prevalence of solitary confinement for these groups have not been completed in the New Zealand context. 131 Boshier. ‘Spring Hill COTA Report 2017’, p. 21. 133 SPT. ‘SPT Report on New Zealand’. 134 Office of the Ombudsman. ‘Monitoring Places of Detention 2014’, p. 23. 135 Office of the Ombudsman. ‘Monitoring Places of Detention 2015’, p. 29. 136 Andersen et al. ‘A Longitudinal Study of Prisoners on Remand’; Jeremy Coid et al. ‘Psychiatric Morbidity in Prisoners and Solitary Cellular Confinement, II: Special (’strip’) Cells’, Journal of Forensic Psychiatry & Psychology vol. 14, no. 2 (September 2003): 320–340; Allison Hastings et al. ‘Keeping Vulnerable Populations Safe under PREA: Alternative Strategies to the Use of Segregation in Prisons and Jails’. Washington, DC: National PREA Resource Center, 2015; Sheilagh Hodgins and Gilles Côté. ‘The Mental Health of Penitentiary Inmates in Isolation’, Canadian Journal of Criminology vol. 33 (1991): 1751–82; Shira E. Gordon. ‘Solitary Confinement, Public Safety, and Recidivism’, University of Michigan Journal of Law Reform vol. 47, no. 2 (2014): 495–528; Terry A. Kupers et al. ‘Beyond Supermax Administrative Segregation: Mississippi’s Experience Rethinking Prison Classification and Creating Alternative Mental Health Programs’, Criminal Justice and Behavior vol. 36, no. 10 (2009): 1037–1050. 137 Devon Indig, Craig Gear, and Kay Wilhelm. ‘Comorbid Substance Use Disorders and Mental Health Disorders among New Zealand Prisoners’. Wellington: Department of Corrections, 2016. 138 Kupers. ‘What to Do with the Survivors?’, p. 1006. 139 Grassian. ‘Psychopathological Effects of Solitary Confinement’; Grassian, ‘Psychiatric Effects of Solitary Confinement’; Miller and Young. ‘Prison Segregation’; Scharff Smith. ‘The Effects of Solitary Confinement on Prison Inmates: A Brief History and Review of the Literature’; Shalev. ‘A Sourcebook on Solitary Confinement’; Sharon Shalev. ‘Solitary Confinement and Supermax Prisons: A Human Rights and Ethical Analysis’, Journal of Forensic Psychology Practice vol. 11, no. 2 (2011): 151–183. 140 Grassian. ‘Psychiatric Effects of Solitary Confinement’; Méndez. ‘Interim Report of the Special Rapporteur of the Human Rights Council on Torture and Other Cruel, Inhuman or Degrading Treatment or Punishment’; Miller and Young, ‘Prison Segregation’; Scharff Smith. ‘The Effects of Solitary Confinement on Prison Inmates: A Brief History and Review of the Literature’; Shalev. ‘A Sourcebook on Solitary Confinement’; Shalev, ‘Solitary Confinement and Supermax Prisons’. 142 For comprehensive reviews of the literature, see: Haney and Lynch. ‘Regulating Prisons of the Future’; Scharff Smith. ‘The Effects of Solitary Confinement on Prison Inmates: A Brief History and Review of the Literature’; Shalev. ‘A Sourcebook on Solitary Confinement’. 143 As discussed in: Grassian and Friedman. ‘Effects of Sensory Deprivation in Psychiatric Seclusion and Solitary Confinement’; Craig Haney. ‘Mental Health Issues in Long-Term Solitary and “Supermax” Confinement’, Crime & Delinquency vo. 49, no. 1 (January 2003): 124–156; Haney and Lynch. ‘Regulating Prisons of the Future’. 144 As discussed in: Arrigo and Bullock, ‘The Psychological Effects of Solitary Confinement on Prisoners in Supermax Units’. 145 As discussed in: Scharff Smith. ‘The Effects of Solitary Confinement on Prison Inmates: A Brief History and Review of the Literature’. 146 As discussed in: Keramet Reiter and Thomas Blair. ‘Punishing Mental Illness: Trans-Institutionalization and Solitary Confinement in the United States’, in Extreme Punishment: Comparative Studies in Detention, Incarceration and Solitary Confinement, ed. Keramet Reiter and Alexa Koenig. Basingstoke: Palgrave Macmillan, 2015, pp. 177–96. 147 As discussed in: Haney and Lynch. ‘Regulating Prisons of the Future’; Haney, ‘Mental Health Issues in Long-Term Solitary and “Supermax” Confinement’. 148 As discussed in: Scharff Smith. ‘The Effects of Solitary Confinement on Prison Inmates: A Brief History and Review of the Literature’. 149 Examples include: C. E. Ecclestone, Paul Gendreau, and Clifford Knox. ‘Solitary Confinement of Prisoners: An Assessment of Its Effects on Inmates’ Personal Constructs and Adrenocortical Activity.’, Canadian Journal of Behavioural Science vol. 6, no. 2 (1974), p. 178; Suedfield and Roy. ‘Using Social Isolation to Change the Behaviour of Disruptive Inmates’; Peter Suedfield et al. ‘Reactions and Attributes of Prisoners in Solitary Confinement’, Criminal Justice and Behavior vol. 9, no. 3 (1982): 303–340. 150 As discussed in: Haney and Lynch. ‘Regulating Prisons of the Future’; Scharff Smith. ‘The Effects of Solitary Confinement on Prison Inmates: A Brief History and Review of the Literature’. 151 Haney and Lynch. ‘Regulating Prisons of the Future’, p. 531. 152 Scharff Smith. ‘The Effects of Solitary Confinement on Prison Inmates: A Brief History and Review of the Literature’, p. 502. 153 Sestoft et al. ‘Impact of Solitary Confinement on Hospitalization Among Danish Prisoners in Custody’, p. 103. 155 Scharff Smith. ‘The Effects of Solitary Confinement on Prison Inmates: A Brief History and Review of the Literature’; Zachary Heiden. ‘Change Is Possible: A Case Study of Solitary Confinement Reform In Maine’. Portland, ME: American Civil Liberties Union of Maine, 2013; Grassian, ‘Psychiatric Effects of Solitary Confinement’; Tracy Hresko. ‘In the Cellars of the Hollow Men: Use of Solitary Confinement in US Prisons and Its Implications under International Laws against Torture’, Pace International Law Review vol. 18, no. 1 (2006): 1–28; Shalev. ‘A Sourcebook on Solitary Confinement’. 156 Grassian. ‘Psychiatric Effects of Solitary Confinement’, pp. 352–53. 157 Haney and Lynch. ‘Regulating Prisons of the Future’, p. 534. 158 Haney. ‘“Infamous Punishment”: The Psychological Consequences of Isolation’, p. 6. 159 Grassian. ‘Psychopathological Effects of Solitary Confinement’; Grassian and Friedman. ‘Effects of Sensory Deprivation in Psychiatric Seclusion and Solitary Confinement’; Haney. ‘Mental Health Issues in Long-Term Solitary and “Supermax” Confinement’; Scott and Gendreau. ‘Psychiatric Implications of Sensory Deprivation in a Maximum Security Prison’; Richard Walters, John Callagan, and Albert Newman. ‘Effect of Solitary Confinement on Prisoners’, American Journal of Psychiatry vol. 119, no. 8 (1963): 771–73. 160 Haney. ‘Mental Health Issues in Long-Term Solitary and “Supermax” Confinement’, p. 133. 161 Shalev. ‘A Sourcebook on Solitary Confinement’, p. 15. 162 Andersen et al. ‘A Longitudinal Study of Prisoners on Remand’; Haney, ‘“Infamous Punishment”: The Psychological Consequences of Isolation’; Korn. ‘The Effects of Confinement in the High Security Unit at Lexington’; Grassian and Friedman. ‘Effects of Sensory Deprivation in Psychiatric Seclusion and Solitary Confinement’; Scharff Smith. ‘The Effects of Solitary Confinement on Prison Inmates: A Brief History and Review of the Literature’; Shalev. ‘A Sourcebook on Solitary Confinement’; Ivan Zinger, Cherami Wichmann, and D. A. Andrews, ‘The Psychological Effects of 60 Days in Administrative Segregation’, Canadian Journal of Criminology vol. 43 (2001): 47–83. 163 Unnamed prisoner quoted in Boshier. ‘A Question of Restraint’, p. 44. 164 Shalev. ‘A Sourcebook on Solitary Confinement’, p. 16. 165 Andersen et al. ‘A Longitudinal Study of Prisoners on Remand’; Grassian. ‘Psychopathological Effects of Solitary Confinement’; Haney. ‘“Infamous Punishment”: The Psychological Consequences of Isolation’; Korn. ‘The Effects of Confinement in the High Security Unit at Lexington’; Scharff Smith. ‘The Effects of Solitary Confinement on Prison Inmates: A Brief History and Review of the Literature’; Shalev. ‘A Sourcebook on Solitary Confinement’; Suedfield and Roy. ‘Using Social Isolation to Change the Behaviour of Disruptive Inmates’. 166 Suedfield and Roy. ‘Using Social Isolation to Change the Behaviour of Disruptive Inmates’, p. 94. 167 Andersen et al. ‘A Longitudinal Study of Prisoners on Remand’, p. 22. 168 Haney. ‘“Infamous Punishment”: The Psychological Consequences of Isolation’, p. 5. 169 Benjamin and Lux. ‘Solitary Confinement as Psychological Punishment’; Grassian. ‘Psychopathological Effects of Solitary Confinement’; Haney. ‘“Infamous Punishment”: The Psychological Consequences of Isolation’; Korn. ‘The Effects of Confinement in the High Security Unit at Lexington’; Miller and Young. ‘Prison Segregation’; Shalev. ‘A Sourcebook on Solitary Confinement’; Suedfield and Roy. ‘Using Social Isolation to Change the Behaviour of Disruptive Inmates’. 170 Haney. ‘“Infamous Punishment”: The Psychological Consequences of Isolation’, p. 5. 171 Grassian. ‘Psychopathological Effects of Solitary Confinement’; Haney. ‘“Infamous Punishment”: The Psychological Consequences of Isolation’; Suedfield and Roy. ‘Using Social Isolation to Change the Behaviour of Disruptive Inmates’. 172 Haney. ‘“Infamous Punishment”: The Psychological Consequences of Isolation’. 173 Grassian. ‘Psychopathological Effects of Solitary Confinement’; Haney. ‘“Infamous Punishment”: The Psychological Consequences of Isolation’. 174 Unnamed prisoner quoted in Grassian. ‘Psychopathological Effects of Solitary Confinement’, p. 1452. 175 Unnamed prisoner quoted in ibid. 176 Grassian. ‘Psychopathological Effects of Solitary Confinement’; Haney. ‘“Infamous Punishment”: The Psychological Consequences of Isolation’; Korn. ‘The Effects of Confinement in the High Security Unit at Lexington’; Miller and Young. ‘Prison Segregation’; Scharff Smith, ‘The Effects of Solitary Confinement on Prison Inmates: A Brief History and Review of the Literature’; Shalev. ‘A Sourcebook on Solitary Confinement’; Suedfield and Roy. ‘Using Social Isolation to Change the Behaviour of Disruptive Inmates’. 177 Scharff Smith. ‘The Effects of Solitary Confinement on Prison Inmates: A Brief History and Review of the Literature’, p. 490. 178 Grassian. ‘Psychiatric Effects of Solitary Confinement’, p. 331. 179 Korn. ‘The Effects of Confinement in the High Security Unit at Lexington’; Lowen and Isaacs. ‘Lifetime Lockdown: How Isolation Conditions Impact Prisoner Reentry’. 180 Korn. ‘The Effects of Confinement in the High Security Unit at Lexington’, p. 14. 181 Grassian. ‘Psychopathological Effects of Solitary Confinement’. 182 Shalev. ‘A Sourcebook on Solitary Confinement’, p. 16. 183 Haney. ‘Mental Health Issues in Long-Term Solitary and “Supermax” Confinement’. 184 Haney. ‘“Infamous Punishment”: The Psychological Consequences of Isolation’, p. 5. 187 Haney. ‘Mental Health Issues in Long-Term Solitary and “Supermax” Confinement’. 188 Haney. ‘“Infamous Punishment”: The Psychological Consequences of Isolation’, p. 5. 189 Haney. ‘Mental Health Issues in Long-Term Solitary and “Supermax” Confinement’, p. 139. 190 Arrigo and Bullock. ‘The Psychological Effects of Solitary Confinement on Prisoners in Supermax Units’; Sarah Glowa-Kollisch et al. ‘From Punishment to Treatment: The “Clinical Alternative to Punitive Segregation” (CAPS) Program in New York City Jails’, International Journal of Environmental Research and Public Health vol. 13, no. 2 (2016), p. 182; Fatos Kaba et al. ‘Solitary Confinement and Risk of Self-Harm Among Jail Inmates’, American Journal of Public Health vol. 104, no. 3 (2014): 442–447; Lamusse. Grieving Prison Death; Bruce Way et al. ‘Inmate Suicide and Time Spent in Special Disciplinary Housing in New York State Prison’, Psychiatric Services vol. 58, no. 4 (2007): 558–560; World Health Organisation, ‘Preventing Suicide in Jails and Prisons’. Geneva: World Health Organisation, 2007. 191 Way et al. ‘Inmate Suicide and Time Spent in Special Disciplinary Housing in New York State Prison’, p. 559. 192 Kaba et al. ‘Solitary Confinement and Risk of Self-Harm Among Jail Inmates’. 194 Benjamin and Lux. ‘Solitary Confinement as Psychological Punishment’, p. 266. 195 Scott and Gendreau. ‘Psychiatric Implications of Sensory Deprivation in a Maximum Security Prison’, p. 340. 196 Shalev. ‘A Sourcebook on Solitary Confinement’, p.17. 197 Lowen and Isaacs. ‘Lifetime Lockdown: How Isolation Conditions Impact Prisoner Reentry’. 198 See: Lamusse, Grieving Prison Death. 199 Boshier. ‘A Question of Restraint’, p. 18. 200 Unnamed Corrections officer quoted in Coroner Tim Scott. ‘Findings in the Matter of [Name Redacted]’ Palmerston North: Coroner’s Court, 10 August 2012. For my analysis of ‘suicide proof’ cells, see: Lamusse, Grieving Prison Death. 201 See: Coroner Garry Evans. ‘Findings in the Matter of Antoine Roni Dixon’. Wellington: Coroner’s Court, 17 April 2013. 202 Kupers. ‘What to Do with the Survivors?’, p. 1011. 203 See: Ecclestone, Gendreau, and Knox. 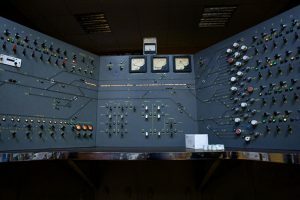 ‘Solitary Confinement of Prisoners’; Scott and Gendreau, ‘Psychiatric Implications of Sensory Deprivation in a Maximum Security Prison’; Walters, Callagan, and Newman. ‘Effect of Solitary Confinement on Prisoners’. Notable, however, each of these studies found negative effects of solitary on their research participants but those findings did not lead them to conclude solitary was harmful. For more discussion see: Haney and Lynch, ‘Regulating Prisons of the Future’; Scharff Smith, ‘The Effects of Solitary Confinement on Prison Inmates: A Brief History and Review of the Literature’. 204 Grassian and Friedman. ‘Effects of Sensory Deprivation in Psychiatric Seclusion and Solitary Confinement’; Haney, ‘“Infamous Punishment”: The Psychological Consequences of Isolation’; Scott and Gendreau. ‘Psychiatric Implications of Sensory Deprivation in a Maximum Security Prison’; Suedfield and Roy. ‘Using Social Isolation to Change the Behaviour of Disruptive Inmates’. 205 Grassian and Friedman. ‘Effects of Sensory Deprivation in Psychiatric Seclusion and Solitary Confinement’, p. 55. 206 Scott and Gendreau. ‘Psychiatric Implications of Sensory Deprivation in a Maximum Security Prison’, p. 340. 208 Suedfield and Roy. ‘Using Social Isolation to Change the Behaviour of Disruptive Inmates’, p. 95. 209 Suedfield and Roy. ‘Using Social Isolation to Change the Behaviour of Disruptive Inmates’. 210 Kupers. ‘What to Do with the Survivors?’; Scharff Smith, ‘The Effects of Solitary Confinement on Prison Inmates: A Brief History and Review of the Literature’. 211 Haney. ‘“Infamous Punishment”: The Psychological Consequences of Isolation’, p. 6. 212 Arrigo and Bullock. ‘The Psychological Effects of Solitary Confinement on Prisoners in Supermax Units’, p. 628. 213 Edward Kaufman. ‘The Violation of Psychiatric Standards of Care in Prisons’, American Journal of Psychiatry vol. 137, no. 5 (1980), p. 567. 215 National Health Committee. ‘Health in Justice’. 217 Wakem and McGee. ‘Investigation of the Department of Corrections in Relation to the Provision, Access and Availability of Prisoner Health Services’. 218 Boshier. ‘A Question of Restraint’, p. 38. 219 Boshier. ‘Hawke’s Bay COTA Report 2017’. 222 Grassian. ‘Psychopathological Effects of Solitary Confinement’; Haney, ‘Mental Health Issues in Long-Term Solitary and “Supermax” Confinement’; Heiden. ‘Change Is Possible: A Case Study of Solitary Confinement Reform in Maine’; Kupers. ‘What to Do with the Survivors?’; Shalev. ‘A Sourcebook on Solitary Confinement’. 223 Shalev. ‘A Sourcebook on Solitary Confinement’, p. 22. 224 Kupers. ‘What to Do with the Survivors?’, pp. 1005–1006. 225 As discussed in Grassian. ‘Psychiatric Effects of Solitary Confinement’. These effects are not strictly comparable to the New Zealand setting but nonetheless demonstrate the lingering effects of solitary confinement in extreme cases. 226 Haney. ‘Mental Health Issues in Long-Term Solitary and “Supermax” Confinement’, p. 141. 227 Grassian. ‘Psychiatric Effects of Solitary Confinement’, pp. 332–33. 228 Brodsky and Scogin. ‘Inmates in Protective Custody: First Data on Emotional Effects’; Haney. ‘“Infamous Punishment”: The Psychological Consequences of Isolation’. 229 Brodsky and Scogin. ‘Inmates in Protective Custody: First Data on Emotional Effects’. 231 Gordon. ‘Solitary Confinement, Public Safety, and Recidivism’, p. 526. 232 Boshier. ‘A Question of Restraint’; Lindsay Hayes. ‘Prison Suicide: An Overview and Guide to Prevention’, The Prison Journal vol. 75, no. 4 (1995): 431–456; Shalev. ‘Thinking Outside the Box?’; World Health Organisation. ‘Preventing Suicide in Jails and Prisons’. 233 Kaufman. ‘The Violation of Psychiatric Standards of Care in Prisons’, p. 570. 234 Boshier. ‘A Question of Restraint’, p. 19. 236 Israel L. Barak-Glantz. ‘Who’s in the “Hole”?’, Criminal Justice Review vol. 8, no. 1 (1983): 29–37; Howard Bidna. ‘Effects of Increased Security on Prison Violence’, Journal of Criminal Justice vol. 3, no. 1 (1975): 33–45; Chad S. Briggs, Jody L. Sundt, and Thomas C. Castellano. ‘The Effect of Supermaximum Security Prisons on Aggregate Levels of Institutional Violence’, Criminology vol. 41, no. 4 (2003): 1341–1376; Robert G. Morris. ‘Exploring the Effect of Exposure to Short-Term Solitary Confinement Among Violent Prison Inmates’, Journal of Quantitative Criminology vol. 32, no. 1 (2016): 1–22; Jody L. Sundt, Thomas C. Castellano, and Chad S. Briggs. ‘The Sociopolitical Context of Prison Violence and Its Control: A Case Study of Supermax and Its Effect in Illinois’, The Prison Journal vol. 88, no. 1 (2008): 94–122. 237 Shalev. ‘A Sourcebook on Solitary Confinement’, p. 32. 238 Glowa-Kollisch et al. ‘From Punishment to Treatment’. 239 Hans Toch and Terry A. Kupers. ‘Violence in Prisons, Revisited’, Journal of Offender Rehabilitation vol. 45, no. 3–4 (2007), p. 19. 240 Sharon Shalev, Supermax: Controlling Risk through Solitary Confinement. Cullompton: Willan, 2009. 241 Briggs, Sundt, and Castellano. ‘The Effect of Supermaximum Security Prisons on Aggregate Levels of Institutional Violence’, p. 1365. 242 Kupers et al. ‘Beyond Supermax Administrative Segregation’, p. 1043. 243 Toch and Kupers. ‘Violence in Prisons, Revisited’, p. 19. 245 John J. Gibbons and Nicholas de Belleville Katzenbach. ‘Confronting Confinement: A Report of the Commission on Safety and Abuse in America’s Prisons’, Washington University Journal of Law & Policy vol. 22, no. 1 (2006): 385–562; Lowen and Isaacs. ‘Lifetime Lockdown: How Isolation Conditions Impact Prisoner Reentry’; David Lovell and Clark Johnson. ‘Felony and Violent Recidivism Among Supermax Prison Inmates in Washington State: A Pilot Study’. Seattle: Department of Psychosocial & Community Health, University of Washington, 2004; Daniel P. Mears and William D. Bales. ‘Supermax Incarceration and Recidivism’, Criminology vol. 47, no. 4 (2009): 1131–1166. 246 Mears and Bales. ‘Supermax Incarceration and Recidivism’. 247 My calculations based on data in Table 1: Laurence L. Motiuk and Kelley Blanchette. ‘Characteristics of Administratively Segregated Offenders in Federal Corrections’, Canadian Journal of Criminology vol. 43, no. 1 (2001), p. 137. 248 Lamusse, Grieving Prison Death. 249 Karl Marx, Capital: A Critique of the Political Economy, Volume 1, trans. Ben Fowkes. London: Penguin Classics, 1976. 250 My argument here is particularly influenced by: Judith Butler, Giving an Account of Oneself. New York: Fordham University Press, 2005; Judith Butler. Precarious Life: The Powers of Mourning and Violence. New York: Verso, 2006; Campbell Jones. The Work of Others, Forthcoming. 251 For an analysis of the psychological reasoning for the need for human contact, and its relationship to solitary confinement, see: Haney. ‘“Infamous Punishment”: The Psychological Consequences of Isolation’; Haney et al. ‘Examining Jail Isolation’. 252 I elaborate this argument in Lamusse, Grieving Prison Death. 253 In the Crimes of Torture Act 1989. Section 9 of the New Zealand Bill of Rights Act 1990 also grant that ‘Everyone has the right not to be subjected to torture or to cruel, degrading, or disproportionately severe treatment or punishment’. 254 From the context of Méndez’s report, it is clear he means both people with intellectual disabilities and people experiencing mental illness. 255 Méndez. ‘Interim Report of the Special Rapporteur of the Human Rights Council on Torture and Other Cruel, Inhuman or Degrading Treatment or Punishment’, p. 21. 258 Méndez. ‘Interim Report of the Special Rapporteur of the Human Rights Council on Torture and Other Cruel, Inhuman or Degrading Treatment or Punishment’. 260 Metzner and Fellner. ‘Solitary Confinement and Mental Illness in U.S. Prisons: A Challenge for Medical Ethics’, p. 104. 261 Méndez. ‘Interim Report of the Special Rapporteur of the Human Rights Council on Torture and Other Cruel, Inhuman or Degrading Treatment or Punishment’. 262 Crimes of Torture Act 1989, § 2(1). 263 Crimes of Torture Act 1989, § 2(1). 264 Crimes of Torture Act 1989, § 2(1)(a)-(b). 265 Unnamed prisoner quoted in Boshier. ‘A Question of Restraint’, p. 44. 266 Hresko. ‘In the Cellars of the Hollow Men’. 268 Although Corrections does not officially use Directed Segregation as punishment. 271 Haney et al. ‘Examining Jail Isolation’; Méndez, ‘Interim Report of the Special Rapporteur of the Human Rights Council on Torture and Other Cruel, Inhuman or Degrading Treatment or Punishment’. 272 Lydon et al. ‘Coming out of Concrete Closets: A Report on Black & Pink’s National LGBTQ Prisoner Survey’. 274 Méndez. ‘Interim Report of the Special Rapporteur of the Human Rights Council on Torture and Other Cruel, Inhuman or Degrading Treatment or Punishment’, p. 22. 275 Arrigo and Bullock. ‘The Psychological Effects of Solitary Confinement on Prisoners in Supermax Units’; Kupers et al. ‘Beyond Supermax Administrative Segregation’; Méndez, ‘Interim Report of the Special Rapporteur of the Human Rights Council on Torture and Other Cruel, Inhuman or Degrading Treatment or Punishment’; Metzner and Fellner. ‘Solitary Confinement and Mental Illness in U.S. Prisons: A Challenge for Medical Ethics’; Shalev. ‘A Sourcebook on Solitary Confinement’. 276 Méndez. ‘Interim Report of the Special Rapporteur of the Human Rights Council on Torture and Other Cruel, Inhuman or Degrading Treatment or Punishment’; United Nations General Assembly. ‘Mandela Rules’. 277 Lowen and Isaacs. ‘Lifetime Lockdown: How Isolation Conditions Impact Prisoner Reentry’; Méndez. ‘Interim Report of the Special Rapporteur of the Human Rights Council on Torture and Other Cruel, Inhuman or Degrading Treatment or Punishment’; United Nations General Assembly. ‘Mandela Rules’. 278 Mental Health Commission. ‘Seclusion in New Zealand Mental Health Services’. Wellington: Mental Health Commission, 2004, 13. 279 Arrigo and Bullock. ‘The Psychological Effects of Solitary Confinement on Prisoners in Supermax Units’; Méndez. ‘Interim Report of the Special Rapporteur of the Human Rights Council on Torture and Other Cruel, Inhuman or Degrading Treatment or Punishment’; Scharff Smith. ‘The Effects of Solitary Confinement on Prison Inmates: A Brief History and Review of the Literature’; Shalev. ‘A Sourcebook on Solitary Confinement’. 280 See: Scharff Smith. ‘The Effects of Solitary Confinement on Prison Inmates: A Brief History and Review of the Literature’, 505. 281 M. O’Hagan, M. Divis, and J. Long. ‘Best Practice in the Reduction and Elimination of Seclusion and Restraint’. Auckland: Te Pou, 2008, p. 10. 285 Glowa-Kollisch et al. ‘From Punishment to Treatment’, p. 8. 286 National Health Committee. ‘Health in Justice’, p. 4. 287 National Health Committee. ‘Health in Justice’. 288 Glowa-Kollisch et al. ‘From Punishment to Treatment’, p. 9. 289 Wakem and McGee. ‘Investigation of the Department of Corrections in Relation to the Provision, Access and Availability of Prisoner Health Services’, p. 121.